Specifically designed for the Kanger Toptank EVOD and Toptank e-MOW. 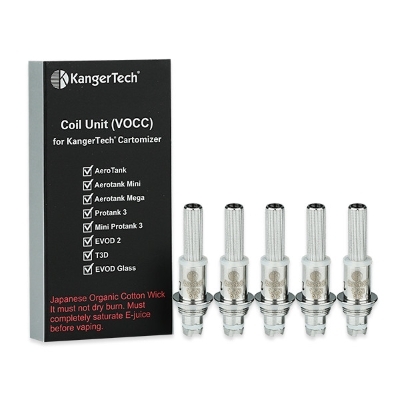 Kanger VOCC-T coils feature the new vertical organic Japanese cotton wicks giving you a cleaner, purer taste with less chances of getting a dry hit. This atomizer head is NOT interchangeable with Kanger Protank 2, Kanger EVOD, Screw Tank, Vision Ego Clearomizer V2.0, or Kanger T3's.